New Delhi, Dec 7 (IANS) Prime Minister Narendra Modi on Friday appealed to the people of Rajasthan and Telangana to participate in the Assembly polls, currently underway in both the states. "Today is the polling day in Rajasthan. 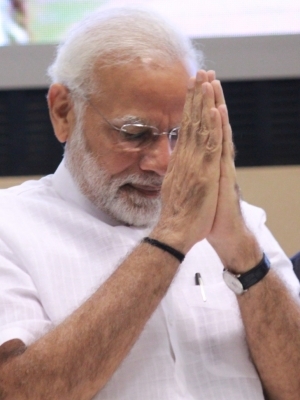 I urge all voters in the state to take part in the biggest festival of democracy with full enthusiasm and vote in huge numbers," Modi tweeted in Hindi. Votes will be counted on December 11 along with three other states -- Madhya Pradesh, Chhattisgarh and Mizoram.